Welcome to Supercheat's unofficial guide for this wonderful first DLC of Bethesda's massive, post-apocalyptic title, Fallout 4. Please use the menu on the right to navigate this short guide. If you want to learn the game basics and get more information about the core game, please check out our expansive guide for the game. 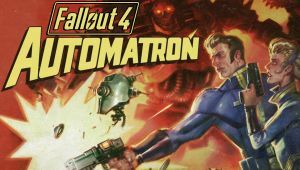 No discussions open for Fallout 4: Automatron at the moment.